The days of the independent retail car showroom are numbered and have been way before the appearance of the brown shoots of this recession. Though it’s not the only reason, the starting point for most people looking for a used car is the internet. Yes there’s a handful of stalwarts who will browse the dwindling adverts of the local paper and insist on dragging their loved ones to the nearest (if you can find one) used car stretch but for most sane buyers the instant availability of comprehensive details and images of a huge selection cars offered by the search engines of the major players, is the most useful form of anonymous browsing one could hope for. These days the best any used car showroom can be used for is as a backdrop and stage for the final transaction to be carried out. 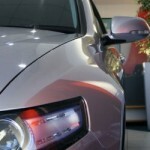 Just about all used car dealers towards the end of this decade have realised (at last!) that the internet actually works for used cars, even if your showroom has a higher footfall rate than Bluewater, you will still be losing out if you don’t have a hefty monthly direct debit paid to ‘Trader Media Group’. The difficulty is that in these times the further added expenses related to this stage is yet another selection of nails for what is in many cases an already perfectly secure coffin lid. OK it’s true that in these more challenging times responding to the regular phone enquiries and emails generated by the internet is better than sitting alone in the ankle chilling breeze of an empty showroom. The downside for the independent used car dealer is that at the end of another heartbreaking month the body blow of another direct debit can break the resolve of many a hardened business man. The fact of the matter is that the costs of running a used car retail showroom and the costs of having an essential web presence means the used car dealer is paying both ends, couple this with the fact that there are so many spoof ads, loss leaders and individuals selling on the internet working from home and less expensive set ups with smaller profit margins it’s easy to see why the internet revolution has created and killed off so many used car retail dealers. Even during the best boom times on record, unless you were lucky enough to actually own your premises outright, running a used car showroom was not for the faint hearted. 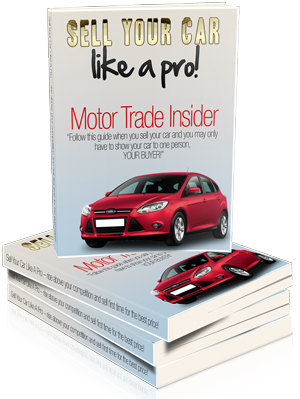 Anyone that has attempted to write a business plan for this type of set-up will know that the list of true considerations is staggering for what everyone on the outside of the motor trade assumes is a simple process; you buy a car, valet it, advertise and sell it for more than you bought it for, what a tantalisingly simple business model that is! The problems start when the simple inaccuracies of the favoured equation of most deluded independent used car dealers comes into effect which is; ‘I only need to sell one car to cover that particular cost’. When the final reality kicks in that you need to sell 17 units every month before you earn any net profit it’s all too late for anyone that hasn’t thought it through properly. Even for those who have done all of the correct workings out and are fully aware what mountain they have to climb each month, blind confidence and unrealistic expectations can still kick in. We all have the vivid memory of the month that we sold 42 units and will have that number flashing like a fruit machine whilst calculating for the future, pushing the bleak but numerous 7, 9 and 11 car months to the forefront of our optimistic mind is not easy. The fact of the matter is that consistency is very difficult to obtain in this business but really it’s not just about that. 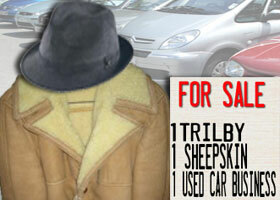 Every used car is different so stock can vary widely but really it’s not just about that. The general public behave in all sorts of odd ways when spending large amounts of money but really it’s not just about that. 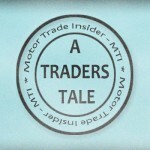 I could go on for a few more paragraphs in that style but for the sake of reader retention, and to any MTI subscriber who may have wondered what it would be like to have a go, a simple overview is that there are many uncontrollable variables involved in running an independent used car retail set up which help to make sure that they are virtually all run on a knife edge. One gloomy period and we see them topple one after the other, internet based or not. Are there any that are safe? Well as mentioned, owning your own premises is a massive help, many in London have been sold for property and highway development or to Tesco’s but a few still survive in the outskirts and other busy towns. Franchises have some chance of getting through as the lack of sales can be offset by profits from the workshop and stores. Also specialists can fair better; if as a dealer you only know BMW’s then you will know their idiosyncrasies, what they cost and why they go wrong, which one’s sell better and which ones are best value etc which gives some element of control. It’s virtually impossible to know this for every make of car particularly these days with so much technology creating new problems that are just as expensive to put right as they sound. The car supermarkets will come and go as they have done for many years as will the latest style of internet based companies. The idea that most people will happily spend thousands of pounds on something they have to live with for the next 3-5 years by clicking a button is an unrealistic utopian vision of car sales created in the supposedly convenience driven world of the mid-noughties. There is a reason why Virgin doesn’t sell used cars, you can’t go to Tesco’s to buy your 2 year old Vectra and why Stelios will not wear a sheepskin coat. They’ve all looked at it and maybe tried it, had it analysed by cleverer people, spat it out and went on to something much more controllable and profitable. Put any of the so called ‘top internet car retailers’ into Google along with the word ‘review’ (which is the point where most new potential customers start) and you will see plenty of people relaying their negative experiences on public and trusted forums. Witness the same used car woes being trotted out that we’ve all heard before proving that selling on the internet is no different in any respect from selling in a showroom with the added benefit that your company can now be legally and publicly derided to a mass audience. 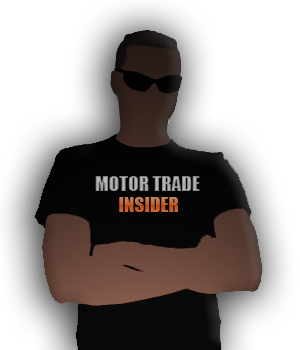 The bottom line is that as a dealer, whatever ‘new concepts’ you think you might be working with, retailing used cars is a tough business that has just had a whole load of extra toughness ladled on. I speak from experience unfortunately and would love the chance to save my business. You can imagine the episode with me in the den offering a share of my used car business for £200k to help through the bad times to a greater goal. With a perfect polished pitch waiting to flow from my lips I ascend the spiral staircase…before I open my mouth, I’m descending it shoulders slumped, after the 5 dragons have looked at me like I’m a complete imbecile and all shouted at once ‘I’M OUT’….Ok, Ok I’m going.